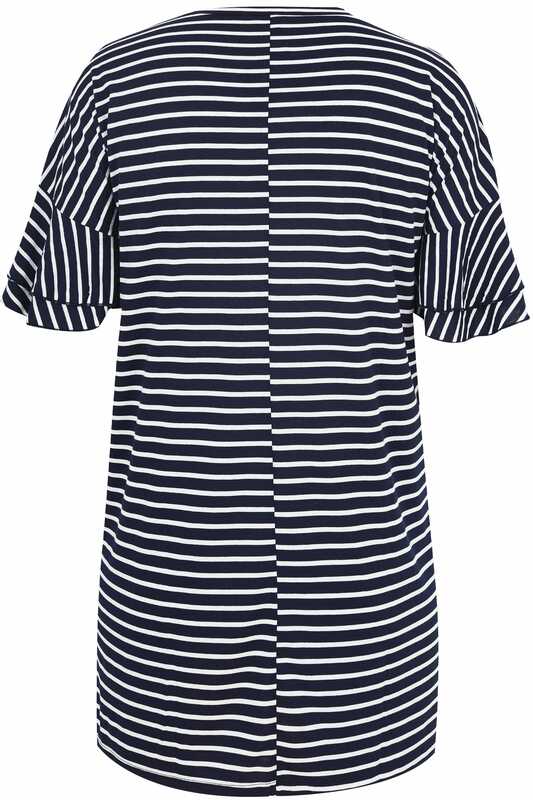 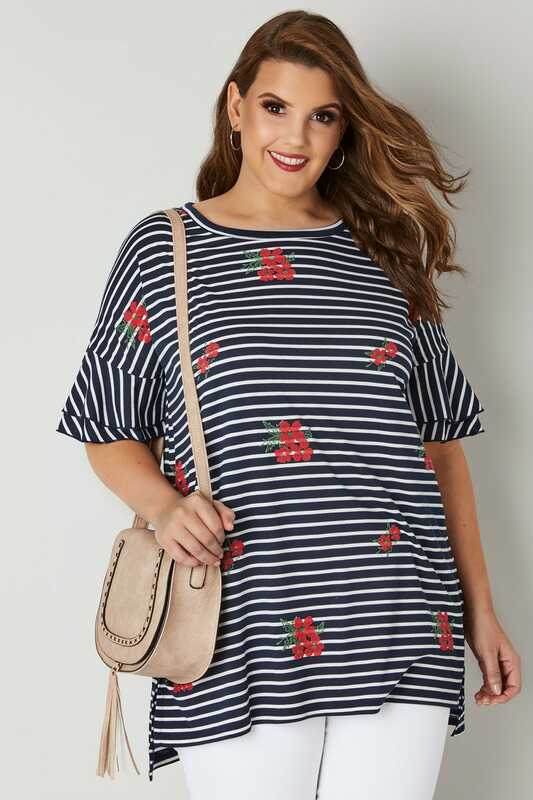 Front length from (approx) 79cm/31"
Add a touch of nautical-inspired charm to your wardrobe with this top. 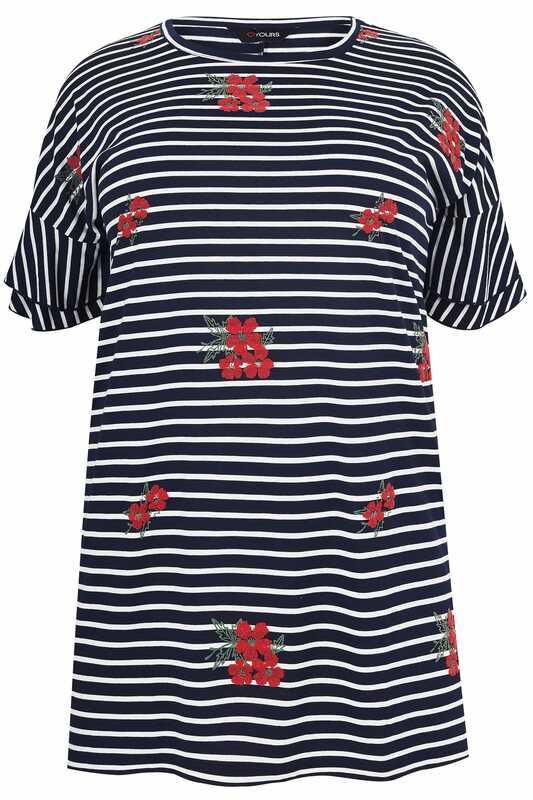 Elevated by elegant floral embroidery, it has been made from a comfortable jersey fabric and features chic frilled sleeves. 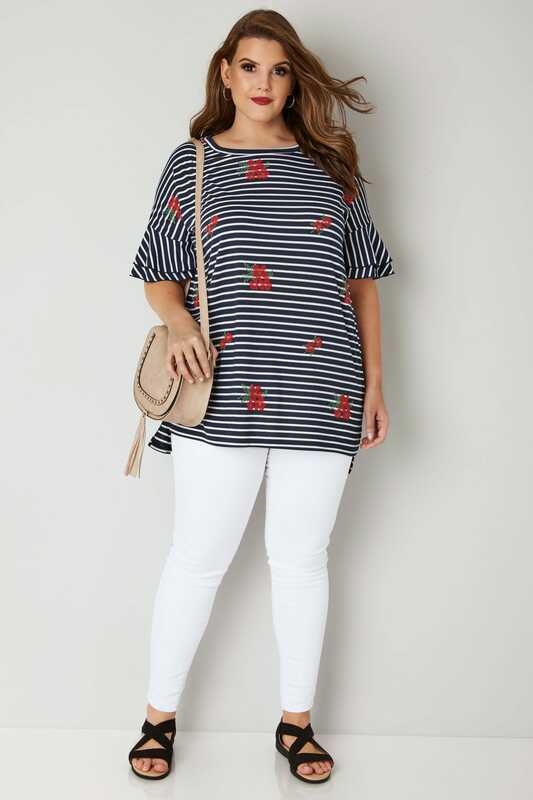 Team with denim and a pair of your favourite flats for daytime appeal. 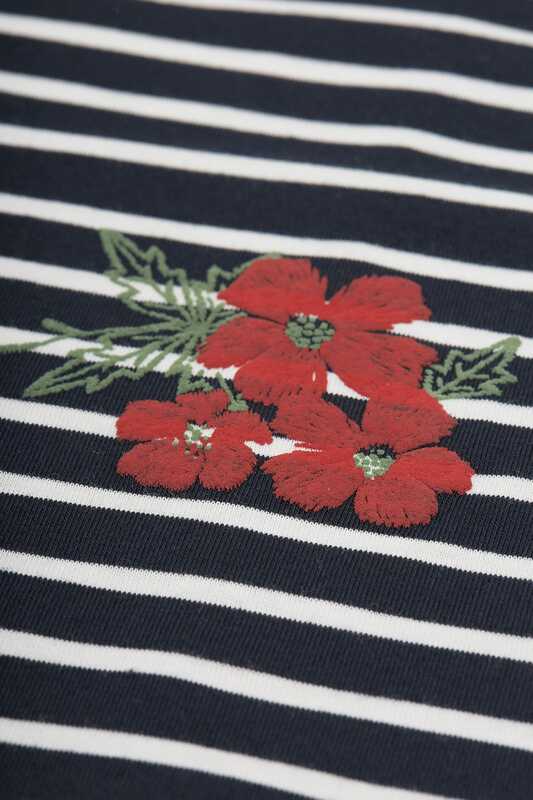 We love the navy and white stripe with contrasting embroidery.